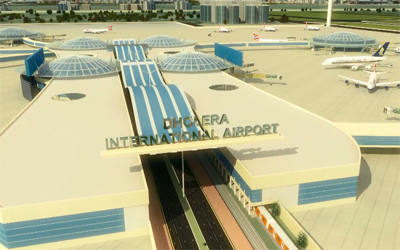 The Dholera Airport is planned to be located in the North of the DSIR. 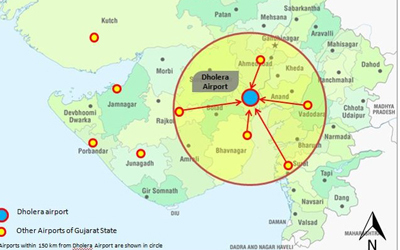 The Dholera International Airport is envisaged to cater to not only DSIR and its hinterland, but also to traffic overflow from Ahmadabad international airport. Total area identified for Airport development is 1426 hectares. 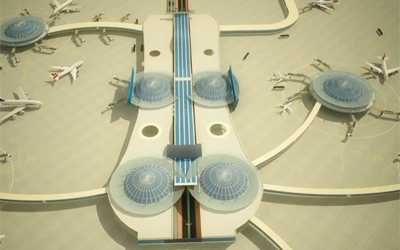 The airport is slated to have two runways capable of handling wide-bodied long-haul aircrafts such as the A380. 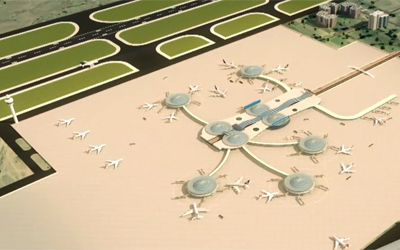 While assessing the potential and requirements of the Dholera SIR, Government envisaged a tremendous need for a Greenfield International Airport in its vicinity. The level of economic activities in the SIR backed by enormous domestic and foreign investment shall need a world class modern International Airport in this region. Therefore state has included the development of an International Airport in the list of “Early Bird Projects” in consultation with Department of Industrial Promotion and Policy. GoG has also signed an MoU with the Delhi Metro Industrial Corridor Development Company in this regard. 1426 hectors of land selected at Vill Navagam Ta. Dholera, Dist Ahmedabad for the Airport. 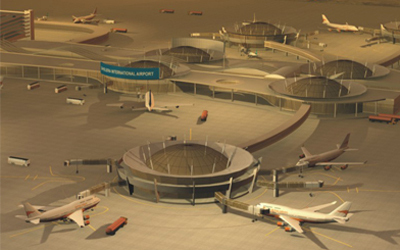 Airports Authority of India (AAI) has prepared the Feasibility Report. Ministry of Defence has issued No Objection Certificate (NOC) for construction of Airport. Ministry of Civil Aviation has granted the Site Clearance Approval. 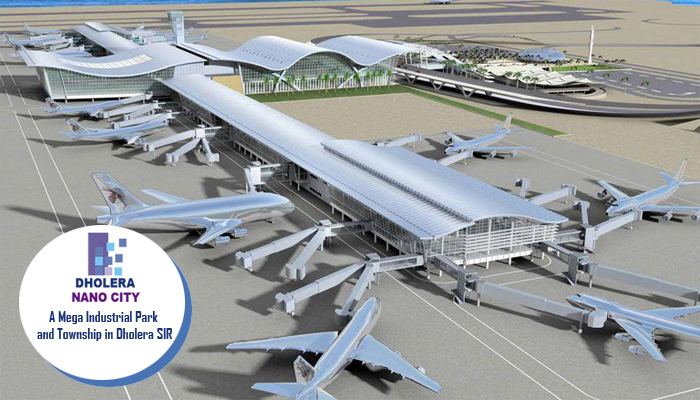 AAI has prepared the DPT and undertaken the EIA Study of the project. The site can accommodate two runways of 2900 m and 4000 m.
DIACL has applied for getting In-Principle Approval from the Ministry of Civil Aviation, Gol. Delhi Mumbai Industrial Corridor Corporation Ltd. has been offered equity in DIACL. The measurement and demarcation of the site is carried out by District Inspector of Land Records. Stone pegs are placed on 182 peripheral boundary points. Japan International Cooperation Agency (JICA) is preparing Detail Project Survey (DPS). The Project will be developed in PPP Mode adhering to the guidelines of the Greenfield Airport Policy of Gol. Recently Principal Approval by Govt. Of India. Gujarat has been the corporate face of India that houses most of the major industries of India, large numbers of SMES and multinational companies. It has set up a number of vibrant Industrial Clusters, Industrial Estates and SEZs. Gujarat Infrastructure Development Board (GIDB) is a modal agency to spur the growth of the infrastructure in the state by way of facilitating large number of projects in Public Private Partnership mode through enabling legal and institutional frame work. 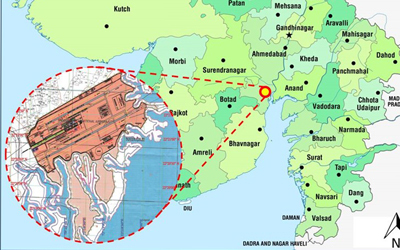 GIDB has envisaged the need of an International Airport following the ambitious planning of Government of India to set up a Dedicated Freight Corridor (DFC) and Delhi-Mumbai Industrial Corridor (DMIC).The Dholera Special Investment Region (SIR) falling in DMIC corridor will be the global hub of economic activities with world class infrastructure and premium civic facilities. 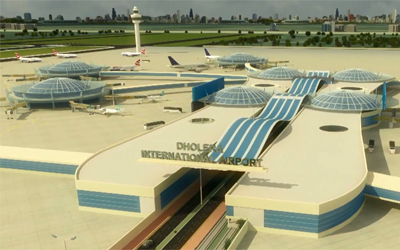 The Proposed Dholera International Airport Project would serve the logistic requirement of upcoming Dholera SIR besides handling the spill over traffic from existing Ahmedbad Airport in future. The proposed airport will propel an airport led economic growth in the entire region in line with other Aerotropolis worldwide. 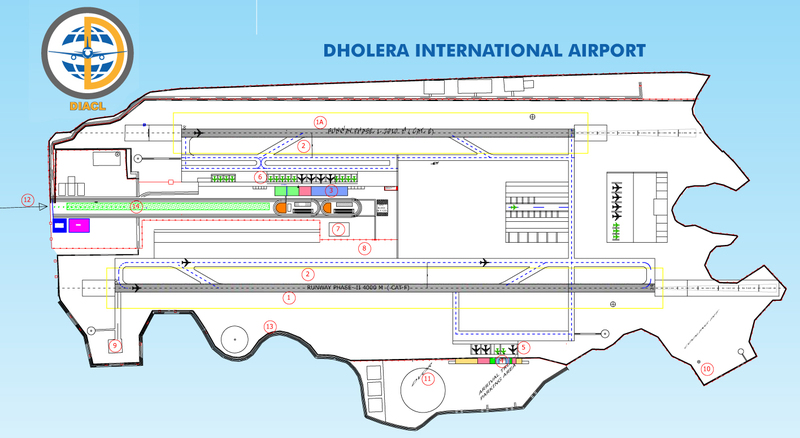 Government of Gujarat has formed Dholera International Airport Company Ltd. (DIACL) to facilitate the project. DIACL shall obtain necessary approvals from Central/State government. In addition to various studies and surveys, the Company will also develop basic infrastructure. Later, private developer will be selected through open competitive bidding route. Gujarat shall soon have two international airports; the first being in Ahmedabad and the second one being Dholera international airport which is in the making.